Pacifica sales in the United States are up 2.1 percent to 109,386 units through November. Fiat Chrysler Automobiles plans to idle its assembly plant in Windsor, Ontario, for two weeks in the new year, according to the union representing workers there. Unifor Local 444 said in a tweet Wednesday afternoon that FCA is idling production for the week of Dec. 31 and the week of Jan. 7. The plant was already going to be on regularly scheduled holiday break Dec. 31 and Jan. 1. Unifor didn’t say why the plant would be idled for the additional eight days and neither the union nor FCA immediately responded to request for comment. FCA previously shut down to adjust inventory in October and January of 2018. 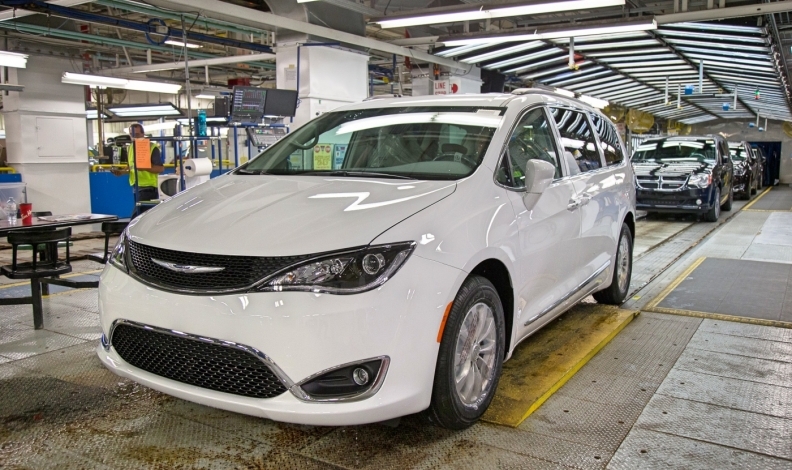 About 6,000 workers at the Windsor Assembly Plant build the Chrysler Pacifica and Dodge Grand Caravan on three shifts a day. Pacifica sales in the United States are up 2.1 percent to 109,386 units through November. Grand Caravan sales are up 20 percent to 142,233 units. Sales aren’t as strong in Canada where the automaker has sold 30,592 Grand Caravans, down 30 percent from the same time last year. Pacifica sales are up 4.5 percent to 5,794. The is a 91-day supply of Pacificas and a 29-day supply of Grand Caravans in the United States as of Dec. 1, according to the Automotive News Data Center. Similar information about Canada isn’t available.